The produce is looking great this time of year. To celebrate, I whipped up a light crunchy fennel salad. It&apos;s wonderful with grilled shrimp or a nice meaty piece of swordfish. 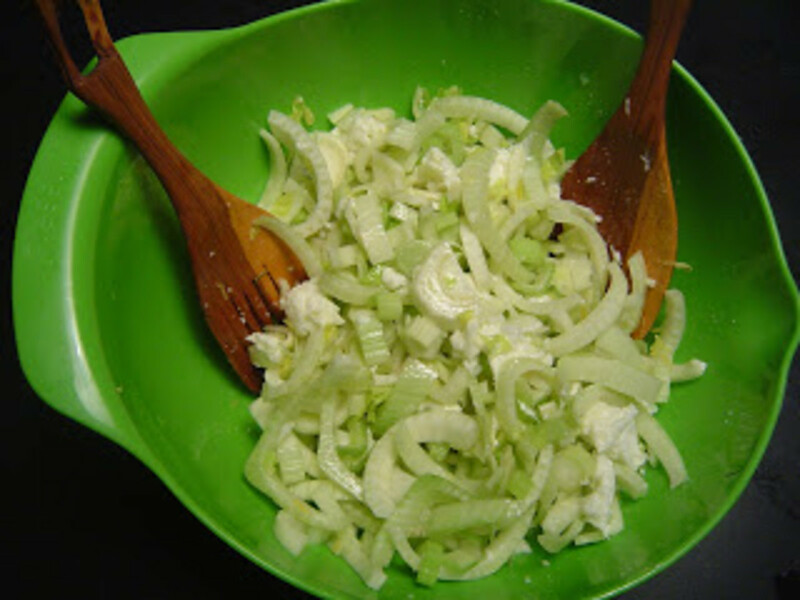 finely slice fennel and celery (about 1/4") add to a bowl. Tear mozzarella into bits, add to bowl. In a separate bowl mix bottom four ingredients as dressing. Add dressing, mix and let sit a least 20 minutes before serving. Serves 6.